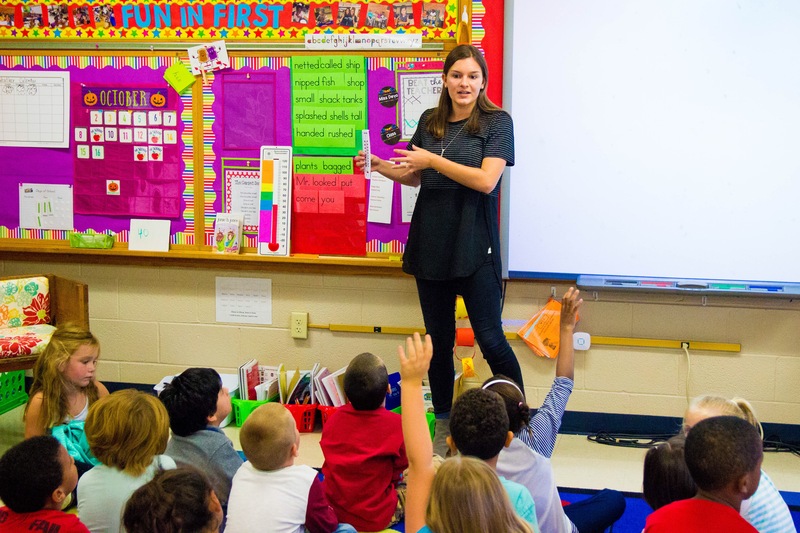 Cheyenne Deyo shares with her first-grade class. What are you most excited about with your new career? I am most excited to build relationships with my students and watch them grow in countless ways. I am thrilled to have my very own class as we learn and explore together, and I cannot wait to see them in the halls in the years to come to see how they have grown. Sheridan just won the National Blue Ribbon award (Sheridan National Blue Ribbon Schools) for the second time! I am so thrilled to work in a school that has such high expectations for staff and students, and I feel very fortunate to be surrounded by model teachers who work so diligently to provide for their students. (Editor’s note: Eisenhower Elementary School, also in Geary County Schools USD 475, received the honor as well (Eisenhower National Blue Ribbon Schools). What you enjoy most about teaching: I enjoy watching my students achieve their goals and celebrating with them when they do! In what ways has your school/district supported you? My school and district have helped in more ways than I could list. The professional development that Geary County provides keeps me inspired and eager to grow as a teacher. My principal and mentor are always there to answer any questions I have, as well as the colleagues I work with every day. Every person I have met in Geary County has encouraged, supported, and welcomed me as I begin my teaching career. What are some specific things you believe KSU especially helped prepare you for your new career? Each professor I had in the College of Education impacted me somehow. Their stories inspired me and made me more eager to begin my career, and their kind words reminded me of the importance of our jobs as teachers. My University Supervisors and Clinical Instructors did the same. I was able to build relationships with so many knowledgeable, kind professionals before graduating. Their tips and guidance made all the difference in preparing me for a classroom of my own. I am lucky to have learned from them. Background: I am a teacher today because of all the phenomenal teachers I had growing up. Teachers make a difference every day, and after loving every teacher I had, I knew that this is what I wanted to do. Suggestions/encouragement for new teachers: You can do it! Teaching is a lot of work, even more than I anticipated, but I never doubt that it is worth it. Remember that we truly are making a difference each day we walk into school. Stay positive and take the time to have fun with your students. They will remember your kind words and genuine smiles! 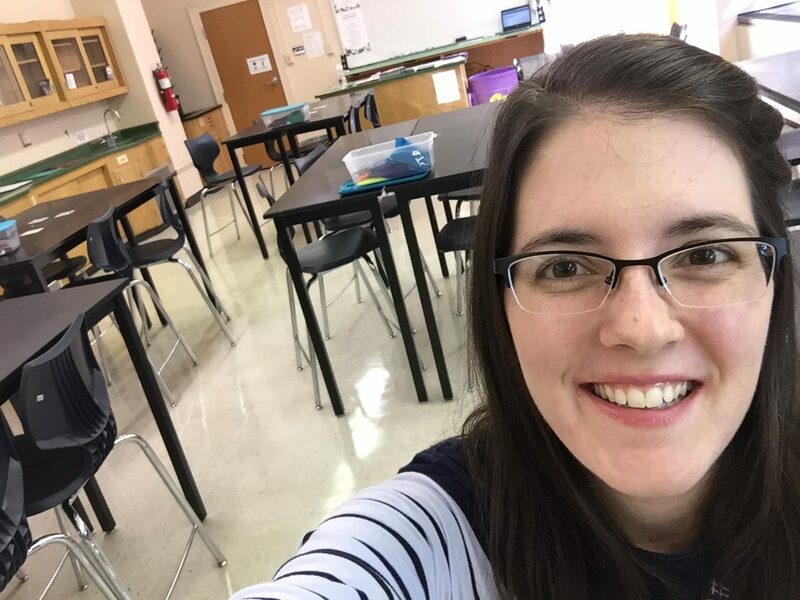 Jenny Karr takes a selfie in her ninth-grade biology classroom at Manhattan-Ogden USDD 383. What are you most excited about with your new career? I’m really excited to build relationships with students and help them find success in the classroom. There’s still a lot for me to learn but my goal is to support students in any way I can. What you enjoy most about teaching? : I love being around a diverse group of people because everyone brings a unique perspective that enhances the content being taught. Seeing the students’ skills grow throughout the year further solidifies my reasons for becoming a teacher. I can’t wait to build strong relationships with my students! In what ways has your school/district supported you? The district has provided me with a veteran teacher as a mentor and had a 3-day new educator orientation. I will also be attending monthly first-year teacher meetings. I’m happy with the support I’ve received so far and I know the administration will be there for me. 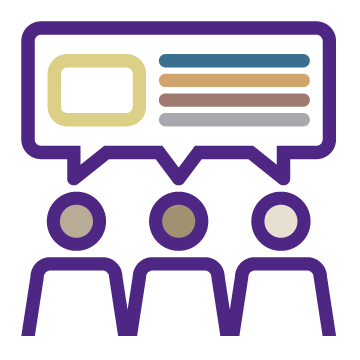 What are some specific things you believe KSU especially helped prepare you for your new career? The two classes that helped me prepare for my students the most were Exceptional Students in the Secondary Classroom and Teaching in a Multicultural Society. I grew up in a town where everyone basically had the same perspective and experiences but now I’m teaching in a school that’s the complete opposite. 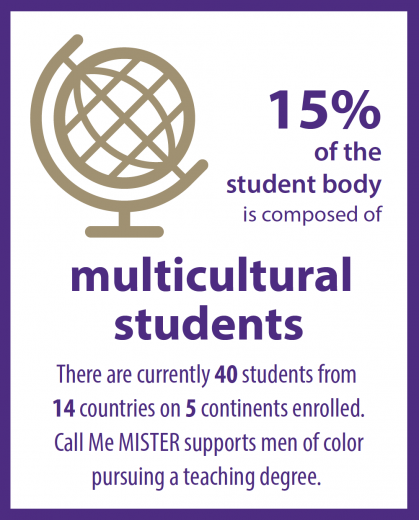 I credit a lot to those to classes for helping me understand the diversity of my students and how to appreciate it all. I wouldn’t want to teach anywhere else because I learn so much from my students. Background: Both of my parents teach science at the collegiate level so I’ve always been around teaching and science in general. Also, the games my sister and I played together as kids had a role in my career choice. We grew up on a farm and each spring we would have 1-2 new litters of kittens in the barn. We would then play “school” with the kittens by teaching them how to climb trees or go up and down stairs. We even made report cards for each kitten! While I didn’t know it at the time, that was a pretty good indicator of what my future would look like. Teaching simply comes naturally. 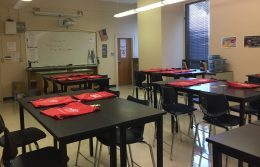 Suggestions/encouragement for new teachers: If you can, get a jumpstart on setting up your classroom early in the summer. I was able to get my keys in May and spent the summer cleaning and organizing my room. Then when August rolled around, while I was still super stressed, I was able to focus more of my time on preparing lessons for the upcoming weeks. Don’t look now, but it’s almost time to flip your calendar to 2018! That’s right – for all of you first-year teachers, you’ve almost made it through half a year as a teacher! Congratulations! As we move toward winter break, keep in mind that, while we may consider this the holiday season, that definition can vary from person to person. Among the celebrations are Christmas, Hanukkah, and Kwanzaa. Remember that, while one holiday may be celebrated by the majority of your students, we all need lessons about other cultures, celebrations and traditions. Be sure to consider the diverse group of students you have in your classroom before saturating your room with decorations or items from one culture. Use the time to open your students’ worlds to other classmates’ beliefs. Scholastic.com suggests creating travel centers to open their world. Check out their ideas at http://www.scholastic.com/teachers/lesson-plan/winter-holidays-celebrating-diversity. Another resource provides a teacher guide on how to celebrate winter holiday: http://www.scholastic.com/teachers/lesson-plan/celebrate-winter-holidays-teaching-guide. 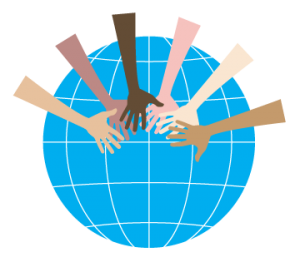 Such an awareness can bring a greater respect and appreciation and make our huge world just a little bit smaller…and friendlier. At this point, you’ve probably experienced a teaching tradition—which can’t be replicated anywhere else but within the walls of your school: The faculty meeting. You’ve probably attended two to three faculty meetings, and you’re trying to figure them out. We’ll try to address some of those burning questions you have about the ever-popular faculty meeting. Where do I sit? With my content teachers? My new friends? My mentor (who may or may not be my friend)? The faculty member who intimidates me the most? When you start teaching, sitting down at a faculty meeting will bring back visions of your life as a fifth-grader trying to find a spot on a school bus. Uncomfortable, humbling, awkward at best. Use the same approach you did then: Look for a smiling face—one that says “I’m not gonna steal your lunch money.” And maybe one that says, “Welcome, friend!”—only probably not quite so directly. At some meetings, you’ll find it beneficial to sit with those who are teaching similar content or age group as you; other times, by all means go with the most welcoming faces. How much should I say at these meetings? Should I speak my mind? There is no magic rule about this, though you’re encouraged to observe for the first few meetings. Jumping in immediately with your ideas can be a risky move, no matter how earth-shatteringly amazing you believe your ideas are. Often, as a new teacher, it’s best to quietly share your ideas with a colleague, who can help you avoid any issues that may have existed long before you joined the faculty. How do I deal with the colleague’s running commentary throughout the meeting? Well, smiling is always a good response—it’s neutral, not too supportive, not too negative. You’re new here, so take some time to figure out the power structure of the faculty. In time, you’ll know when it’s OK to laugh out loud and when it’s time to focus on—or at least pretend to—taking more notes about the topic at hand. My personal favorite: The principal provided doughnuts! How many should I take? I’m starving! Start with one…then, when there’s a heated discussion about students chewing gum in class, grab another one! Remember…pace yourself! And just what are my students doing while they’re roaming the halls before or after school? Probably…nothing good. That’s why we lock our classroom doors when we step away. Don’t get us wrong; often faculty meetings can be beneficial—coming together in times of tragedy, celebration, and innovation. It’ll just take some time to figure out the key players and your role in these sessions. Now that you’ve got your own classroom, be thinking about the future. 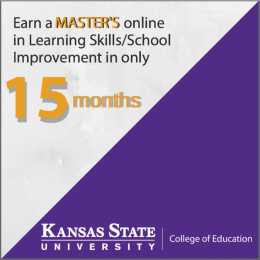 The COE’s Curriculum and Instruction Department offers two new online master’s degrees for you. Either can be completed in as few as 15 months, but the programs can be modified to fit your timeframe. 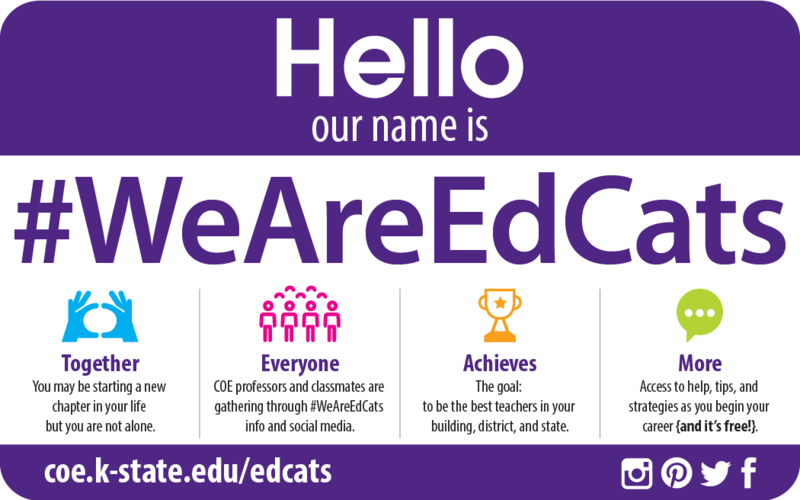 Your COE family wants to hear from you! We are waiting for an update from you! Why don’t you send us a photo of you at work in your classroom! Or, do you have a question about classroom procedures? A suggestion for a topic we should address in Before the Bell? Want to add your name to our mailing list? Or provide a different email for our list? A new year and a new semester are just around the corner! 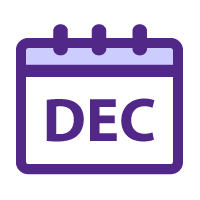 Next month, we’ll help you make the transition–while finding some fun purple events along the way. What should you have in your desk drawer?